The family-friendly event raised nearly $400,000 to support Playground Partners’ mission to keep Central Park’s 21 playgrounds safe, clean, and well maintained. More than 1,200 parents and children gathered together at Central Park’s Heckscher Playground for the Central Park Conservancy’s Playground Partners Annual Family Party on Wednesday, May 23. The family-friendly fundraiser, generously sponsored by Nordstrom, featured a sunny afternoon of games, music, entertainment, and more and raised nearly $400,000 to support Playground Partners’ mission to keep Central Park’s 21 playgrounds safe, clean, and well maintained. Held at Central Park’s biggest and oldest playground, the fundraiser is the only event of the year held inside a Central Park playground, offering a special opportunity for New York City families. The event featured activities for children ages six months to 10 years old, including a photo op with Disney Pixar’s Incredibles 2, fishing with Playgarden Prep, engineering activities with BASIS Independent Manhattan, basketball with Fastbreak Sports, treats from Blue Marble Ice Cream, soccer with Paris Saint-Germain Academy, magic with Ned Gelfars, and music with Juliette & Ella’s Playdate. Television host and author Daphne Oz Jovanovic served as the 2018 Honorary Chairman. Party Co-chairmen were Talene Baroyan, Katherine Birch, Lizzie Boswell, Teri Friedman, Stephanie Hessler, Emily McLellan, Jessica Oliver, and Susannah Rose. 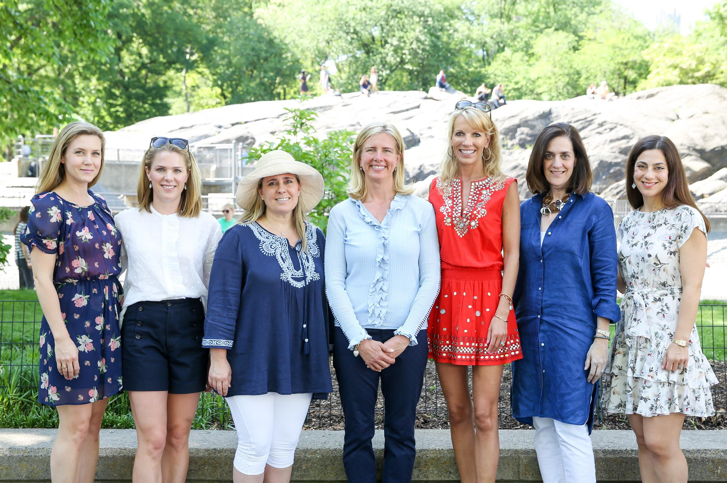 Grandparents Chairmen Donna and Marvin Schwartz were joined by Playground Partners Co-Chairmen Ranika Cohen and Shana Gary, Women’s Committee President Suzie Aijala, and Elizabeth W. Smith, President and CEO of the Central Park Conservancy. The Benefit Committee and guests included Kelly Bensimon, Katherine Birch, Anne Black, Arielle Noa Charnas, Shirin Christoffersen, Michele Cohen, Judith Ann Corrente, Amandine Freidheim, Gigi Ganatra, Nina Garcia, Gail Golden Icahn, Sharon Jacob, Kim Klimczak, Kristy Korngold, Caroline LeFrak, Alexia Leuschen, Valerie Boster Macaulay, Michelle Marra, Gillian Miniter, Margo MacNabb Nederlander, Erik Nordstrom, Yesim Philip, Ainsley Proctor, Fiona Rudin, Jackie Sackler, Dani Stahl, and Amy Tarr. The mission of the Central Park Conservancy is to restore, manage, and enhance Central Park in partnership with the public. The Central Park Conservancy aspires to build a great organization that sets the standard for and spreads the principles of world-class park management — emphasizing environmental excellence — to improve the quality of open space for the enjoyment of all. For more information, please visit centralparknyc.org. 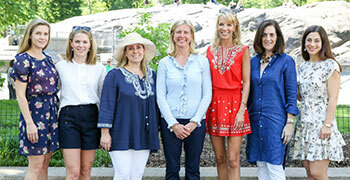 The Playground Partners program of the Central Park Conservancy Women’s Committee works to maintain the quality and cleanliness of Central Park’s 21 playgrounds. The funds they raise go directly towards the preservation, care, and daily inspection of these play spaces. To learn more, visit centralparknyc.org/playgroundpartners.